Can Australia’s Top Golfers Bounce Back in 2018? While golf is perhaps not top of the list of live sports to watch in a pub, it is certainly a worthy spectacle to sit back and watch with a few cold beers. Golf doesn’t necessitate the intense scrutiny of the viewer in the same way as rugby or football. Instead, it invites you to sit back, relax and enjoy, preferably with a couple of brews. It has been a barren couple of years for Australian golf in terms of big tournament wins however, with the two main men, Jason Day and Adam Scott, struggling with form and injury. But, there are signs that a resurgence is on the cards, especially given Day’s recent win at the Farmers Insurance Open on the US PGA Tour. That win shot Day back into the Top 10 in the world and, according to punters, back into the equation to win another Major in 2018. 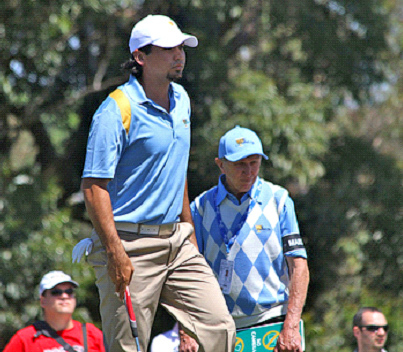 This piece will assess some of Australia’s top hopes for golf’s next Major – the Masters (5th-8th April). It will highlight the odds (provided by Betfair), then make a prediction on their performance. There are plenty of free bet offers currently available for Aussie punters, which are worth checking out to get some extra value. It is also worth pointing out that bookmakers will usually pay around five or six places in the Masters, so an each-way bet is often worth looking at. That win in the Farmers Insurance Open was his first in 20 months, but few would bet against Day to get back to the world number one spot he first held in 2015. He is a gritty and resolute performer, famously battling vertigo in the third round of the US Open in 2015. The Queenslander is popular with players and fans alike and will be a welcome addition back in the Top 10 this year. Another Major should come again too. 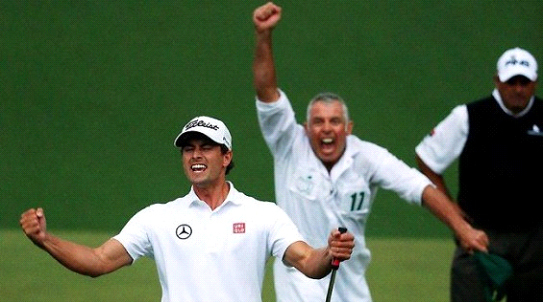 Masters prediction: back in contention again. Although Leishman has probably not capitalised on the promise shown when awarded 2009 PGA Tour Rookie of the Year Award, he is nonetheless a grafter who fully deserves his place among the elite players in the world. He showed last year that he has the big tournament temperament when winning the BMW Championship with a record 23 under par. Don’t be surprised if that is the catalyst for greater achievements. Masters prediction: a good each-way bet. Last year was nothing short of disastrous for Scott, with no tour wins or even a top three finish for the 2013 Masters winner. This was all the stranger as Scott was consistently regarded among the top players in the world between 2011-2016. The question hanging over the 37-year-old is whether last year was simply a blip, or demonstrates an inexorable decline in his game? Most Aussies will not even have heard of Cameron Smith, but the 24-year-old could well be the future of Australian golf. He landed his first PGA and European Tour wins in 2017, but crucially he showed he has the stomach for the Majors when making an eagle on the final hole to tie 4th in the US Open in 2015. Prediction: too early for Smith, but don’t forget the name.